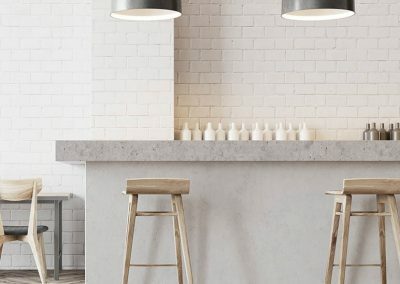 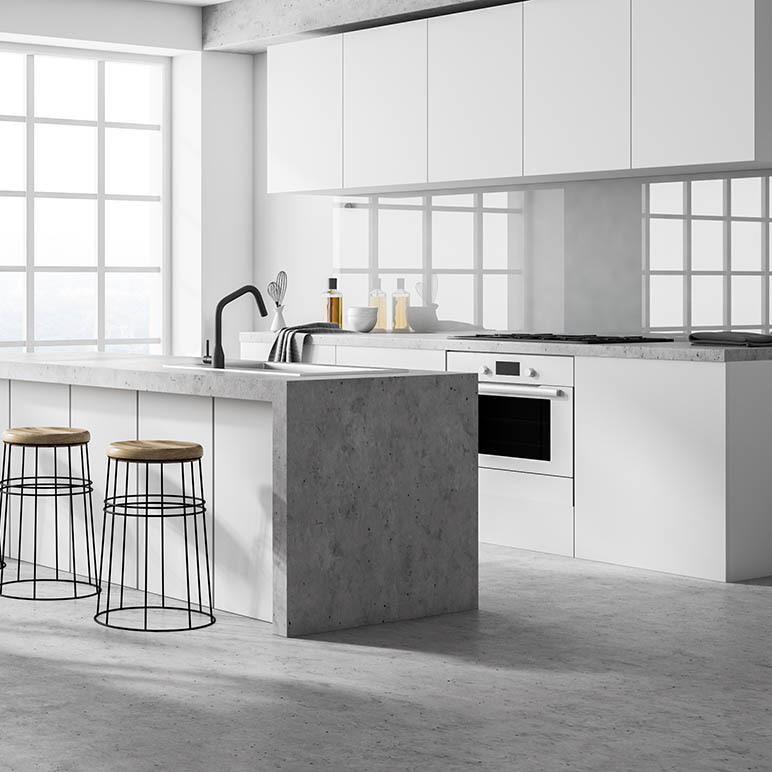 While most tile countertops have a base formed from concrete for strength and stability, concrete has its own beauty. 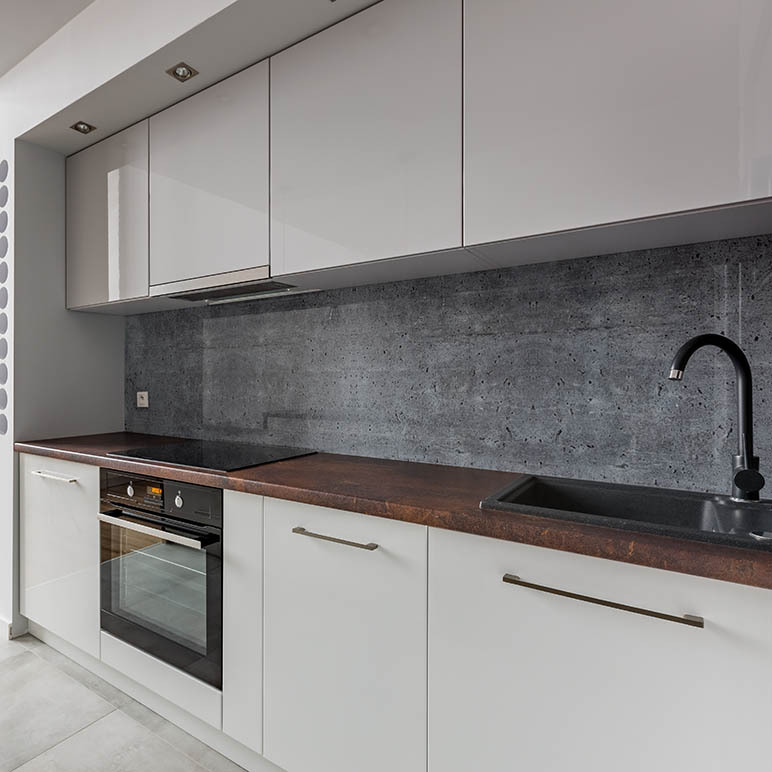 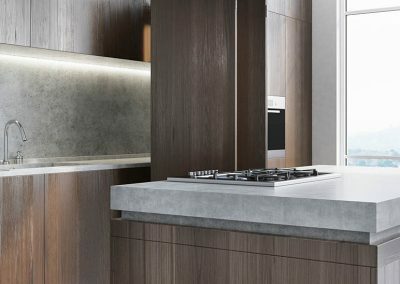 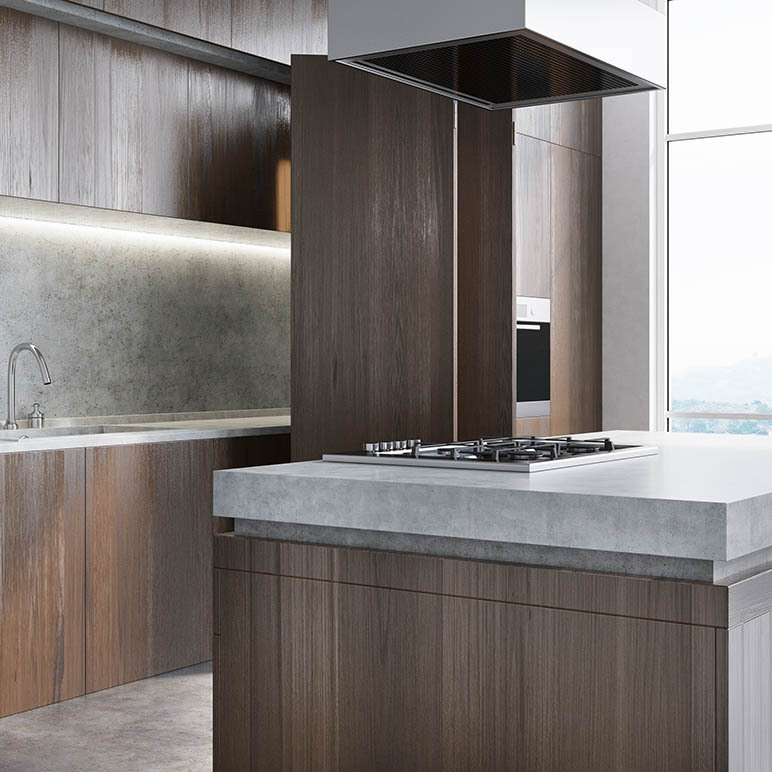 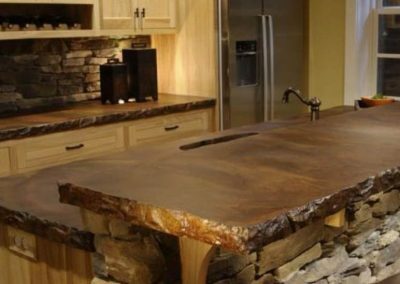 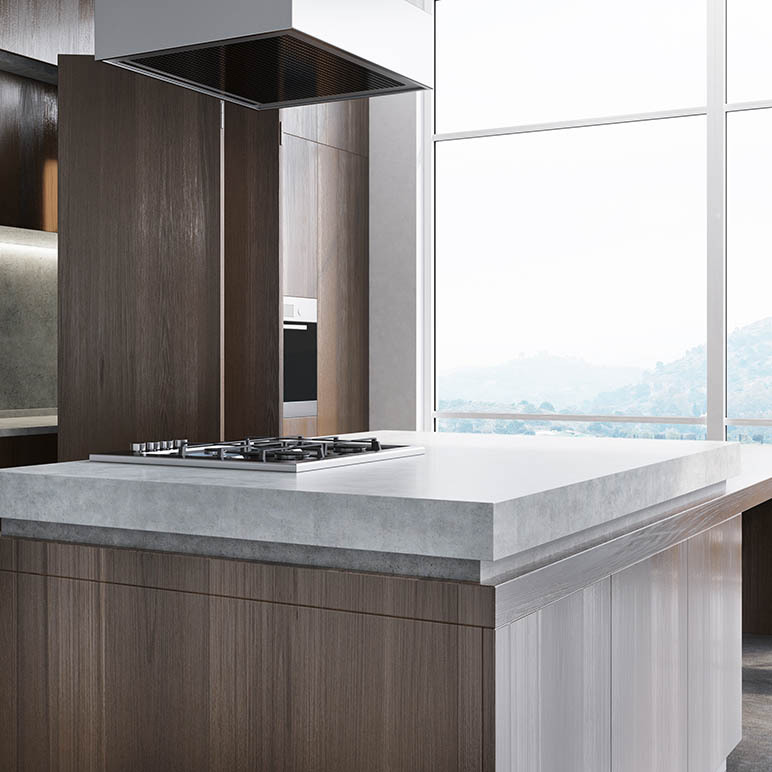 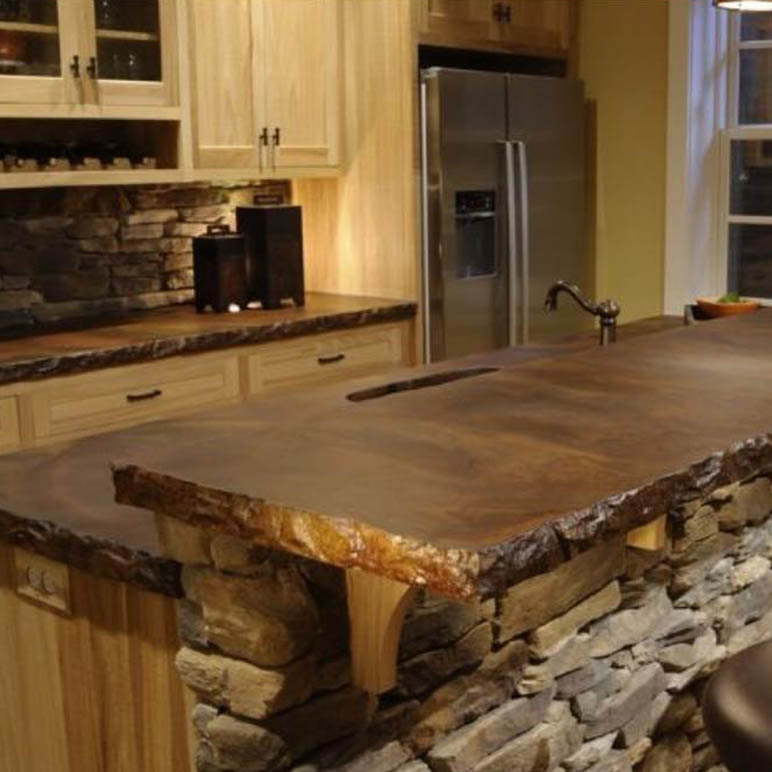 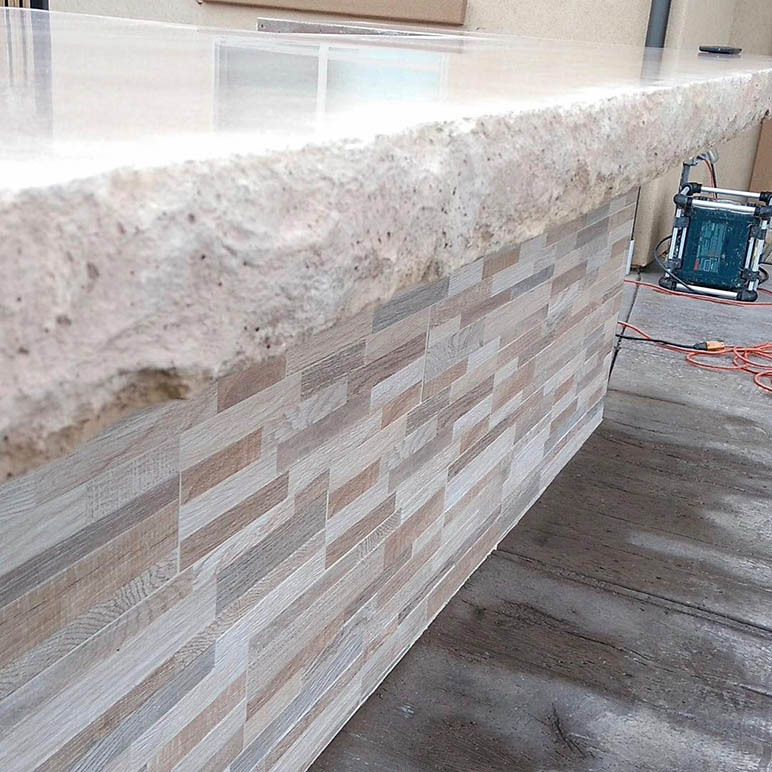 Concrete countertops can be shaped, stained, textured, and finished to an extremely high spec. 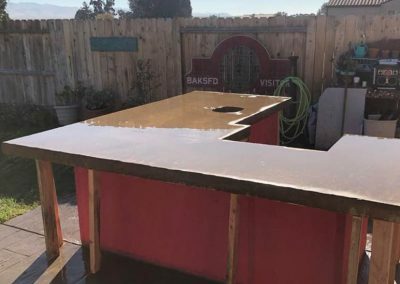 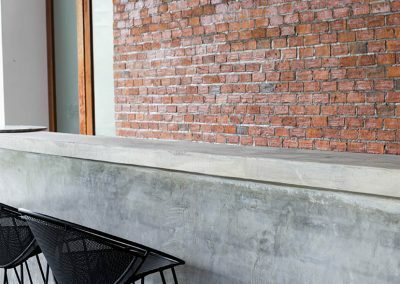 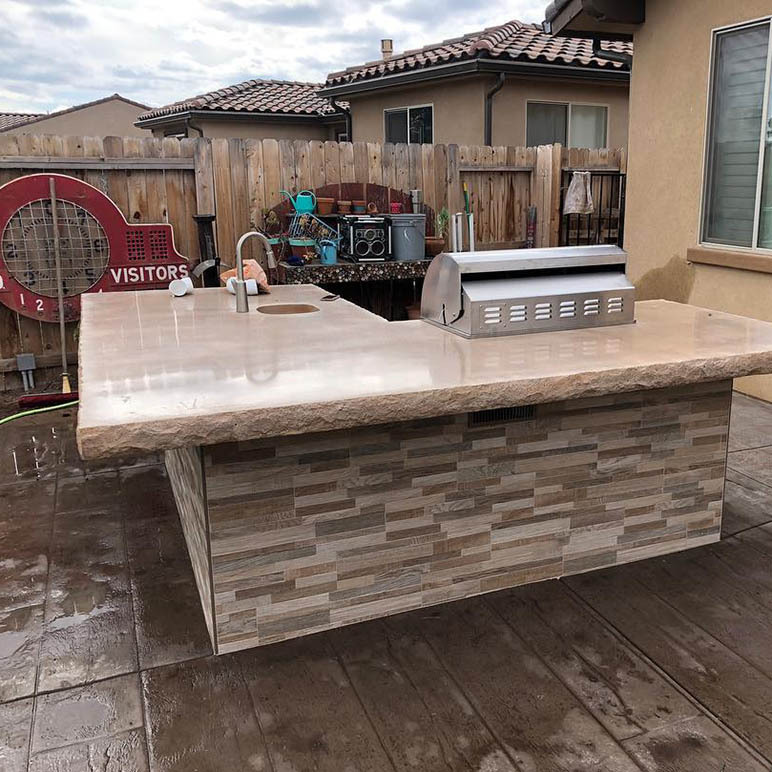 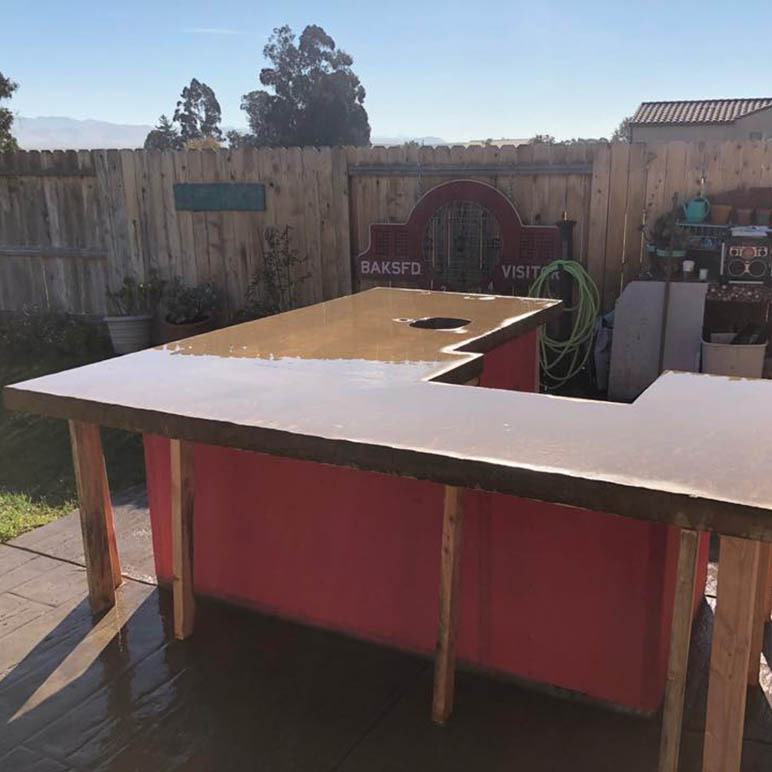 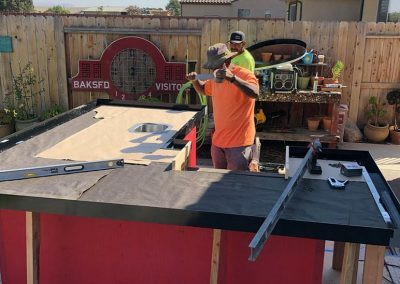 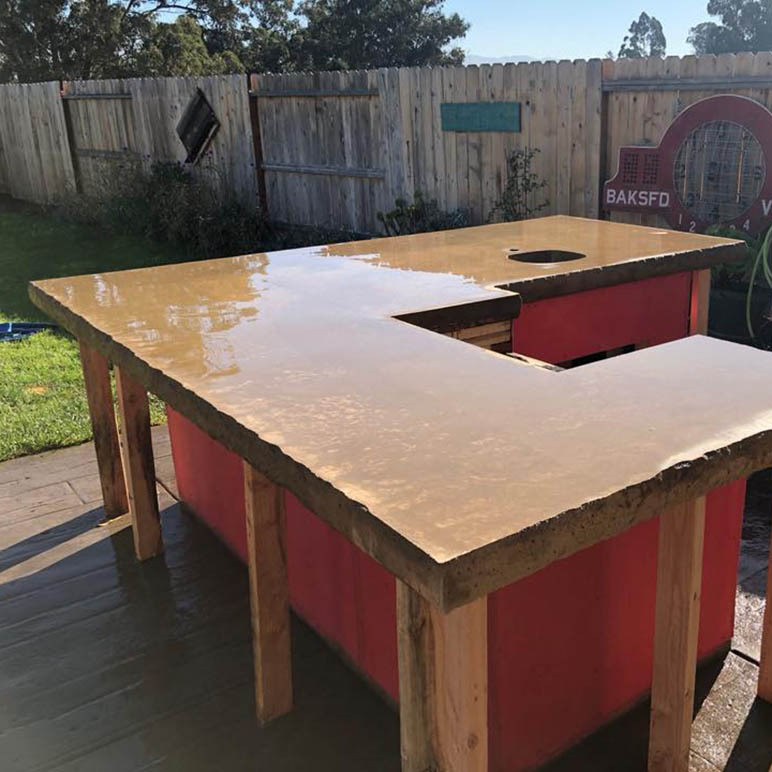 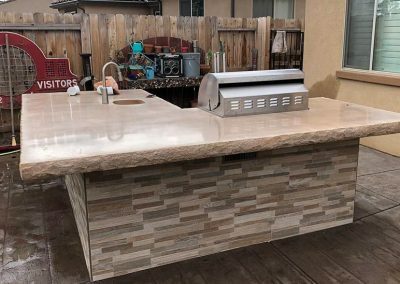 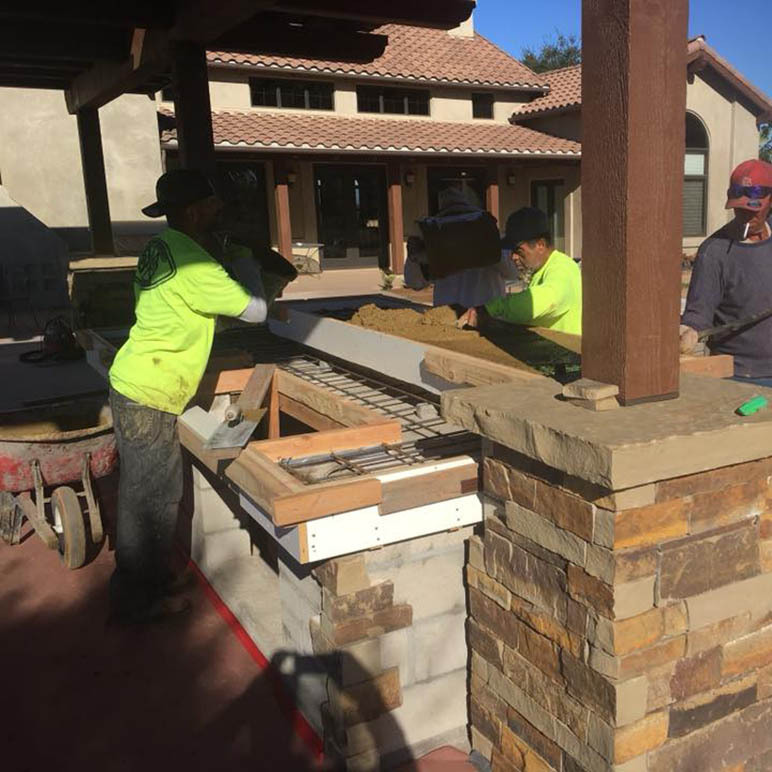 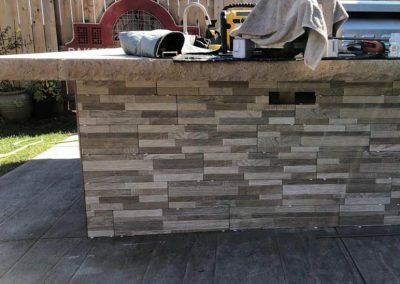 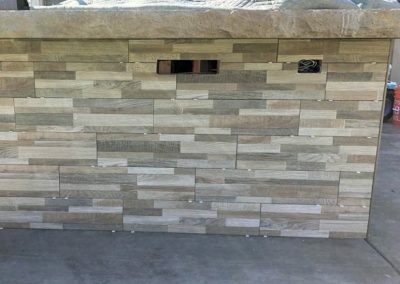 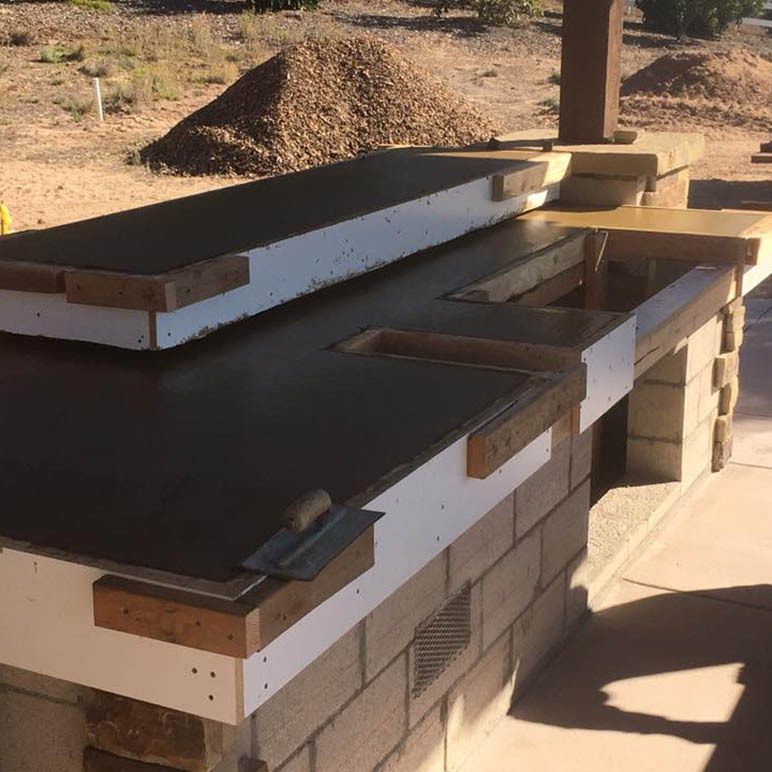 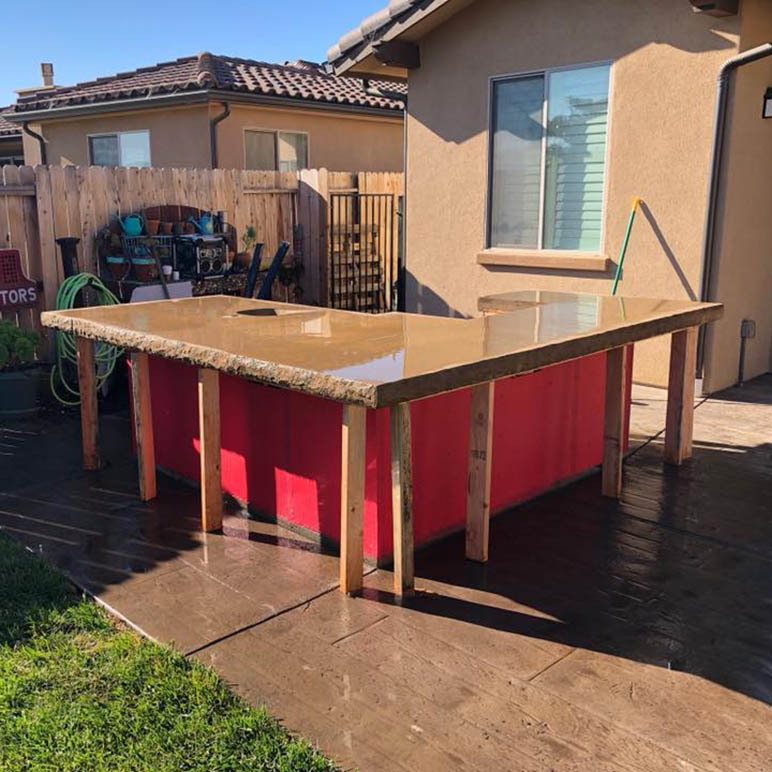 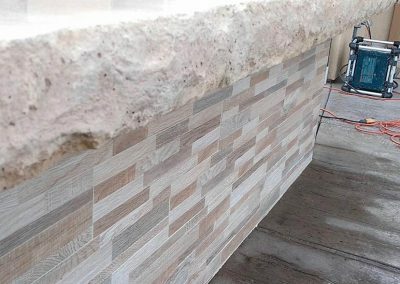 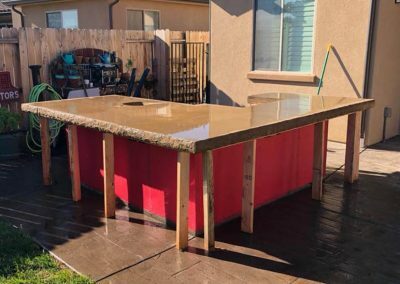 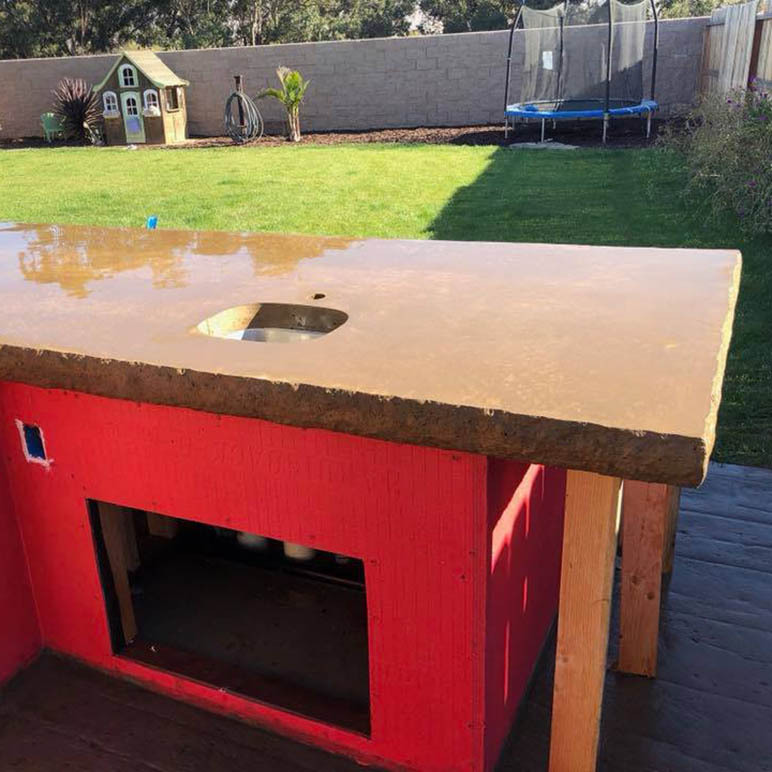 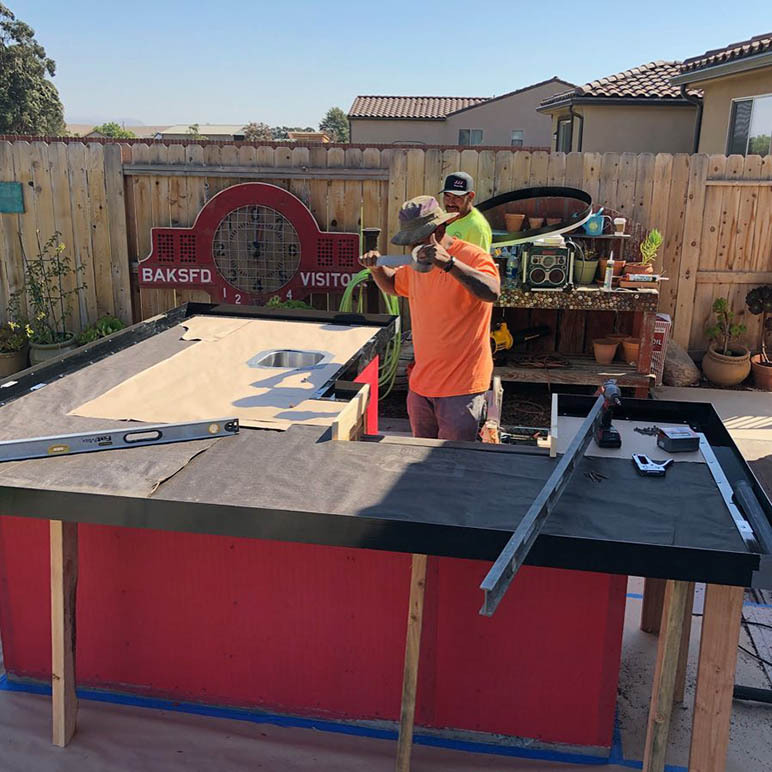 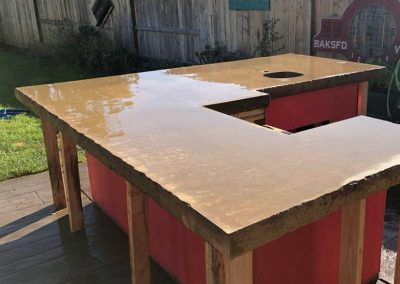 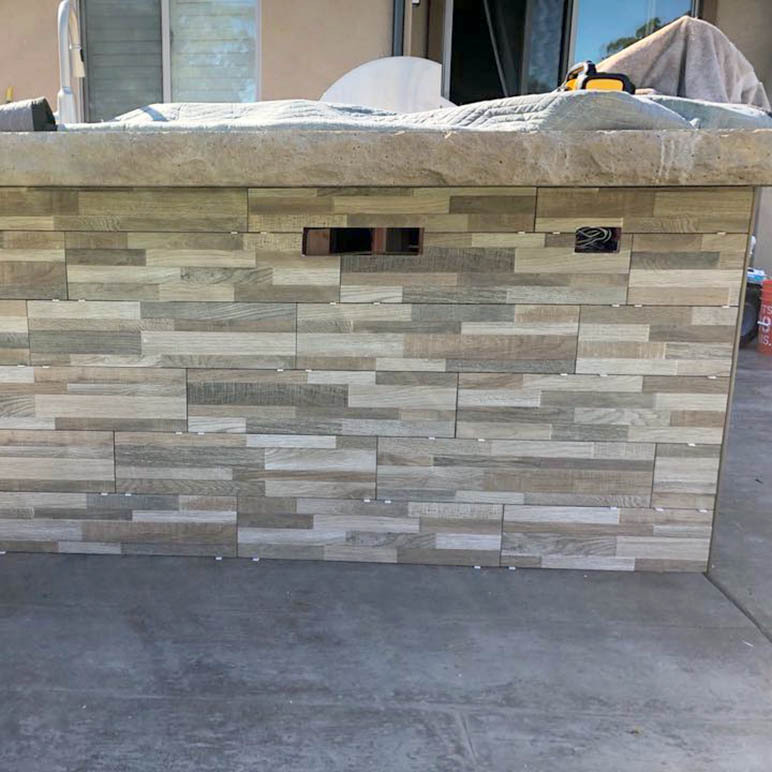 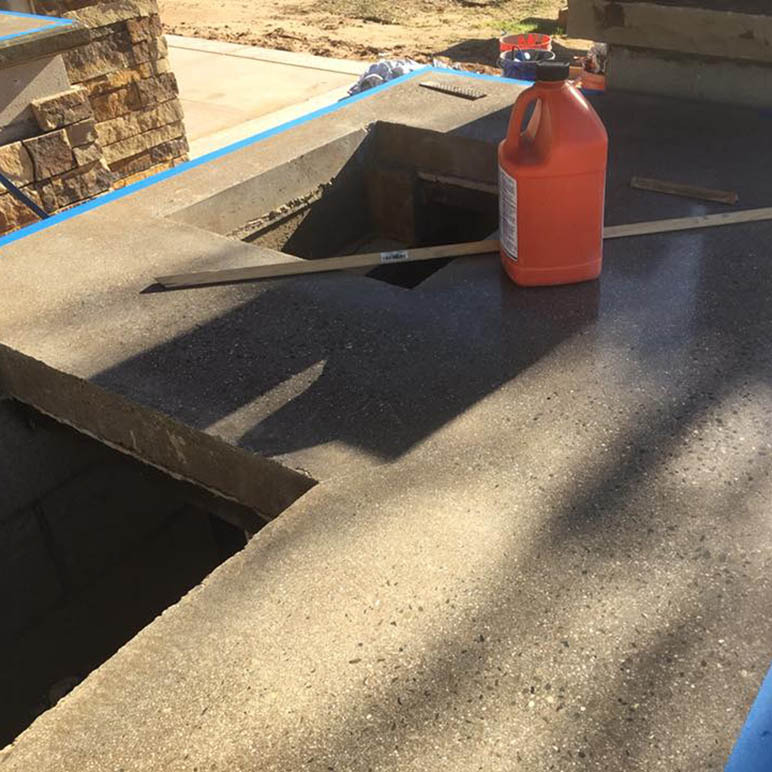 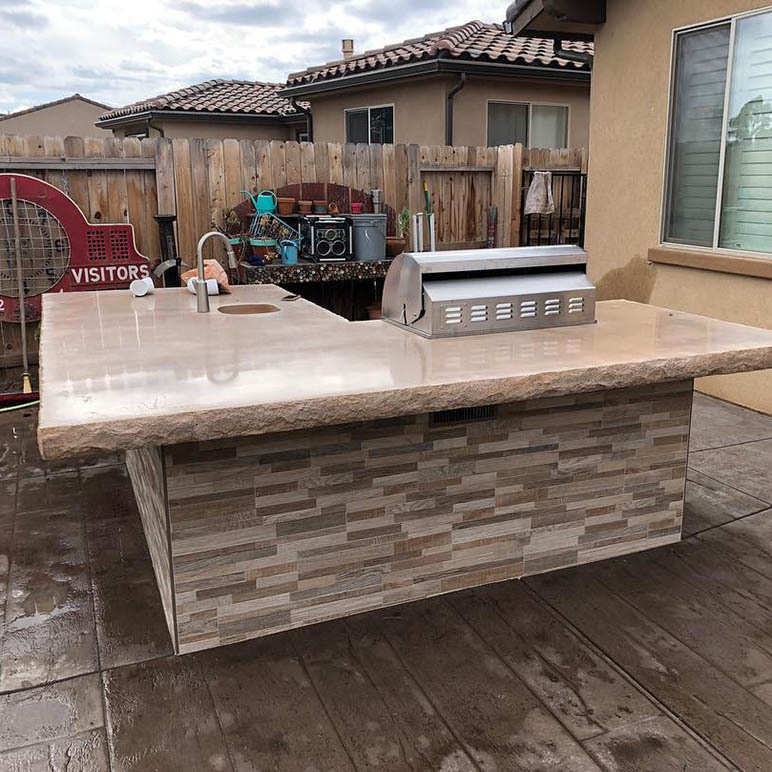 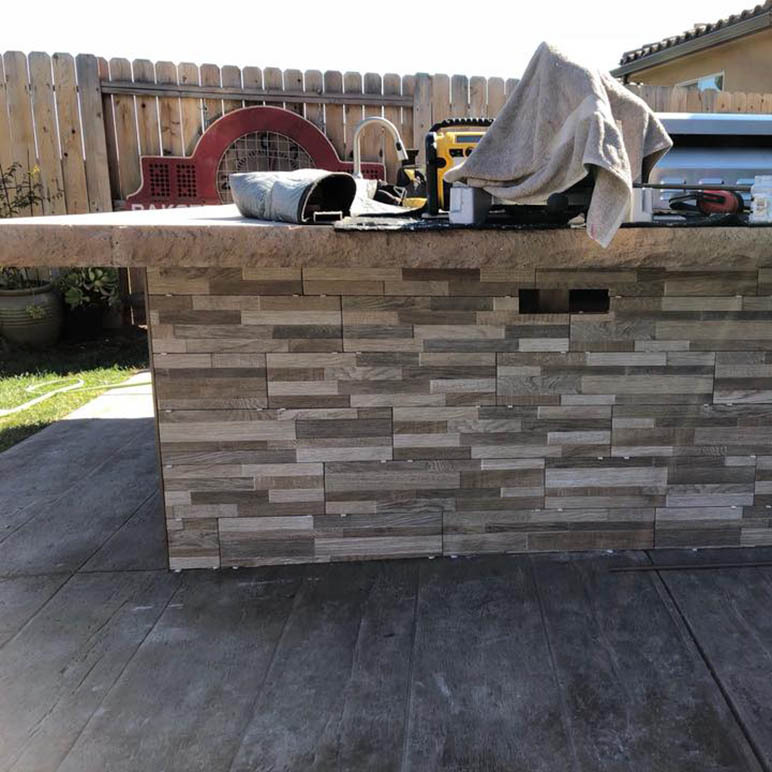 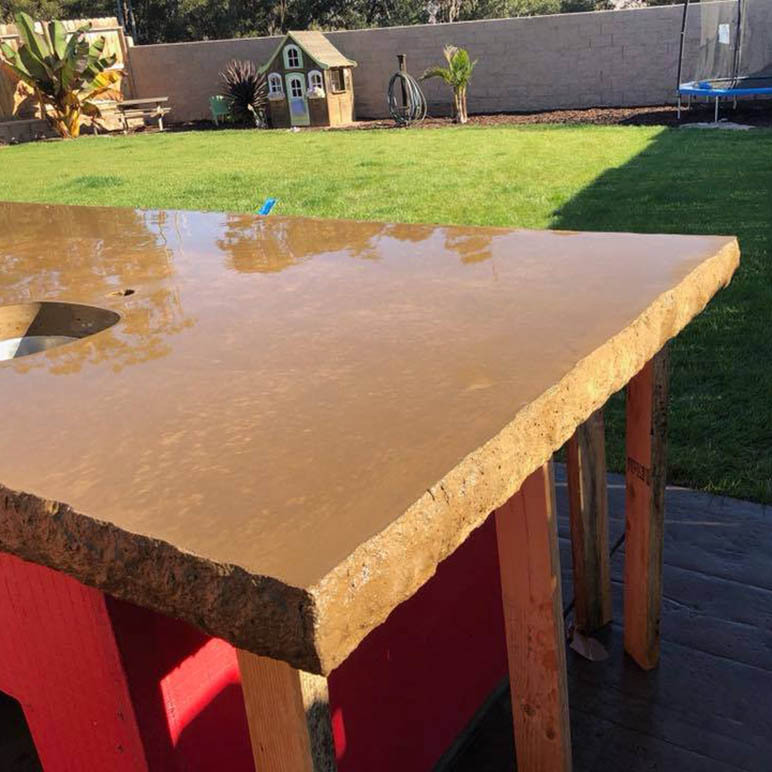 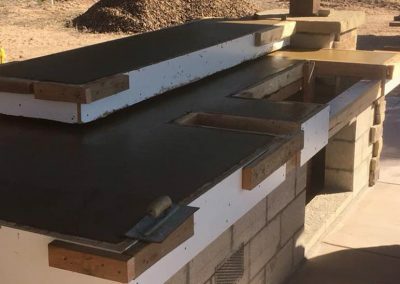 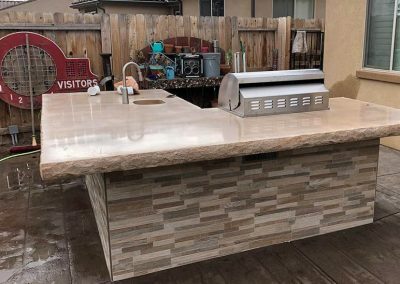 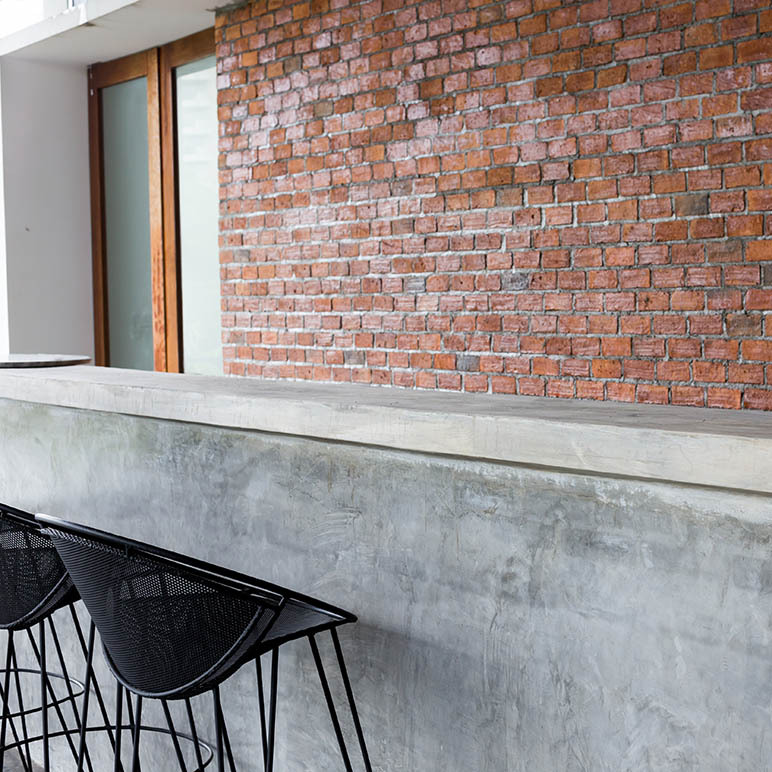 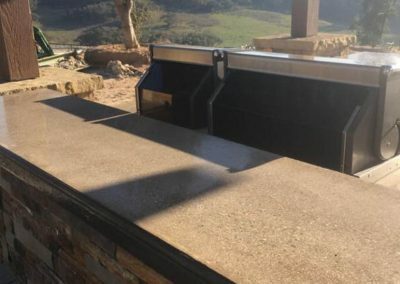 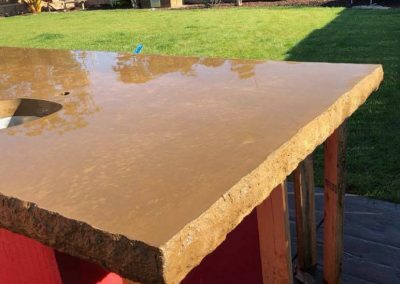 Often found in modern luxury homes and used for kitchen and bathroom counters, concrete countertops are a welcome addition to outside entertainment bars and outdoor cooking spaces. 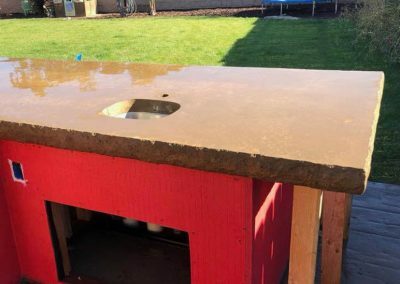 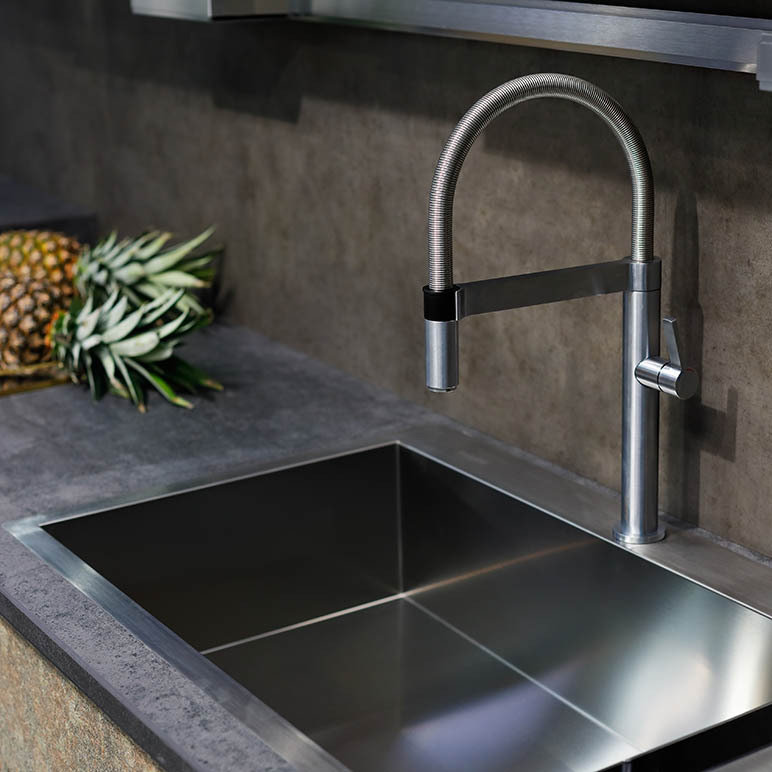 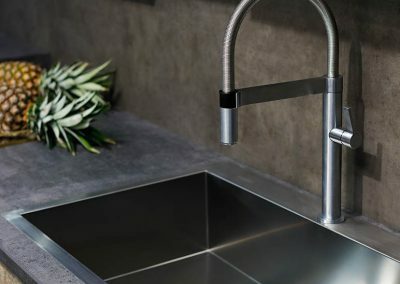 Concrete can even be used to incorporate custom cast sinks right into the counter. 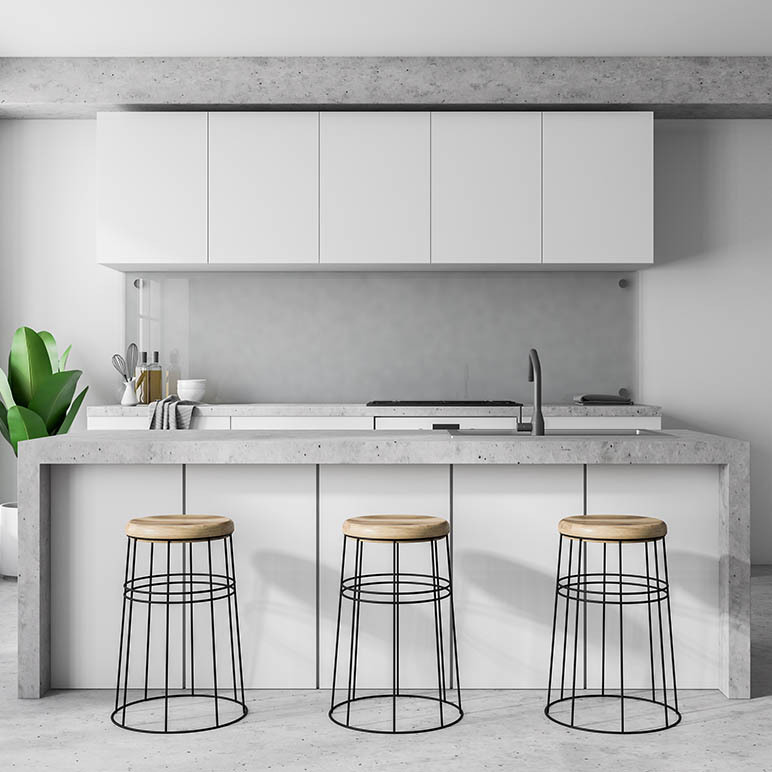 With nearly limitless design options, you’re probably going to need a little help navigating the choices and we’re here to help. 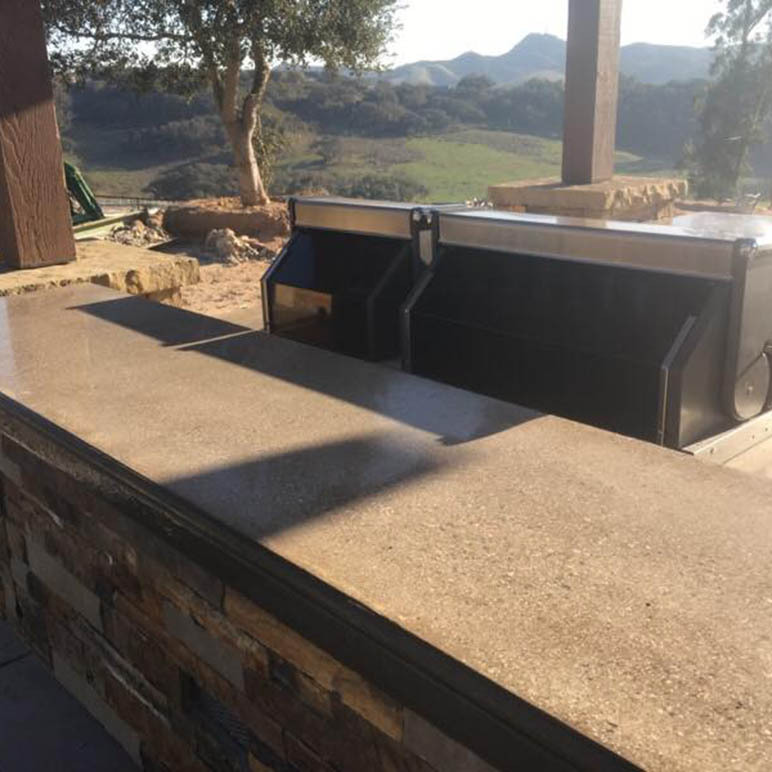 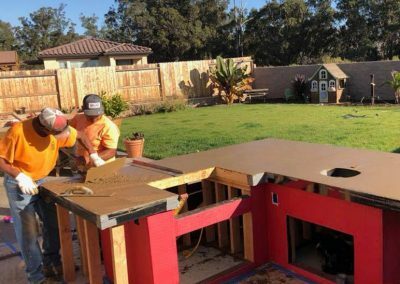 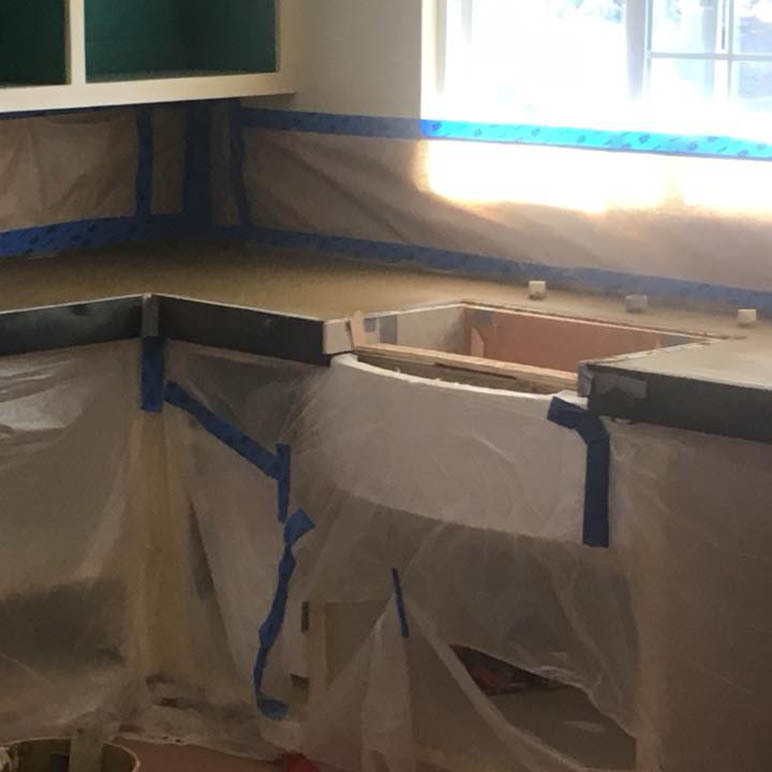 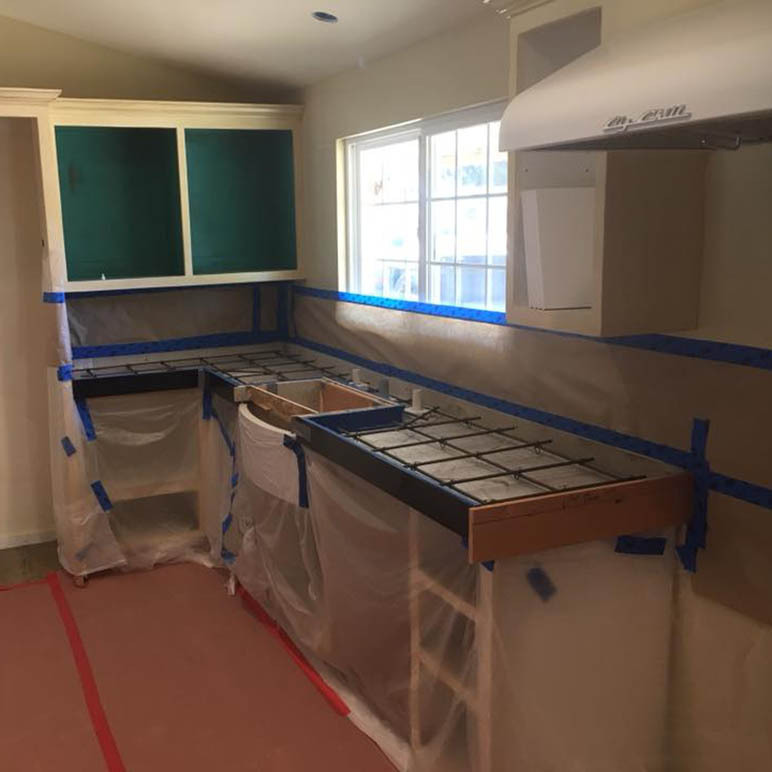 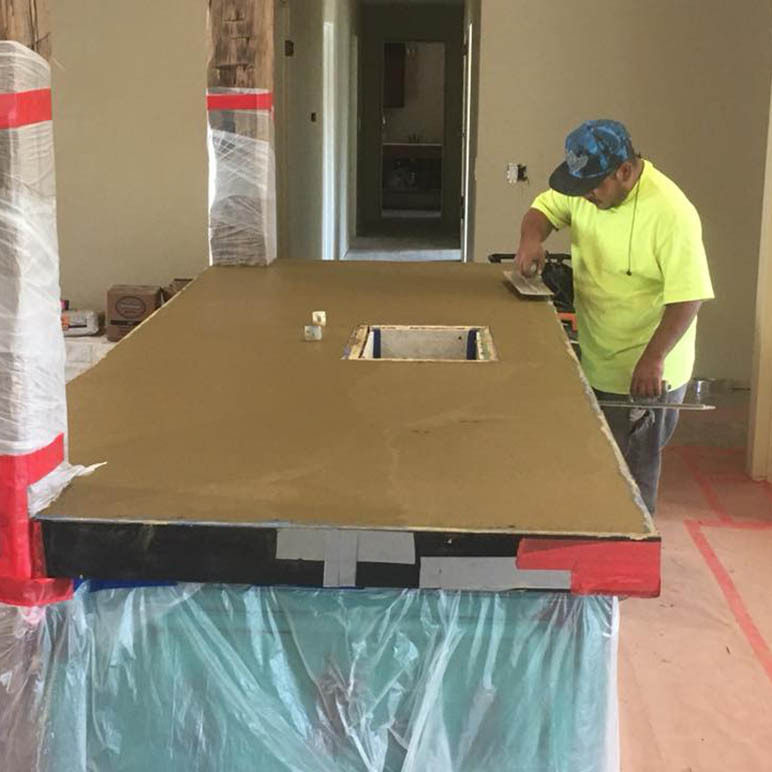 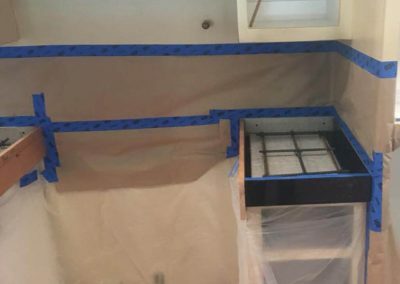 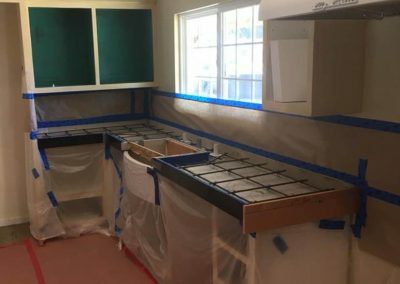 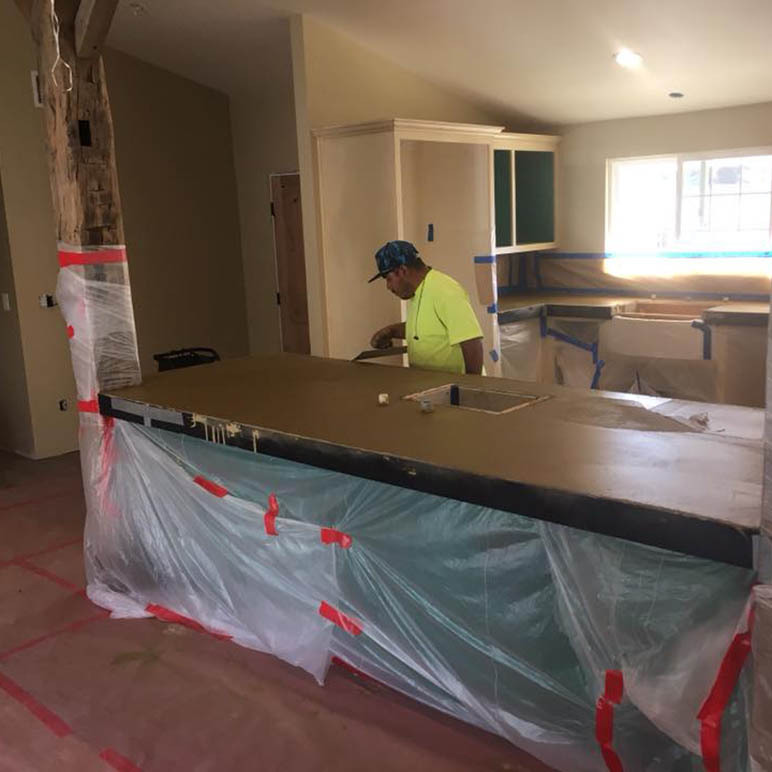 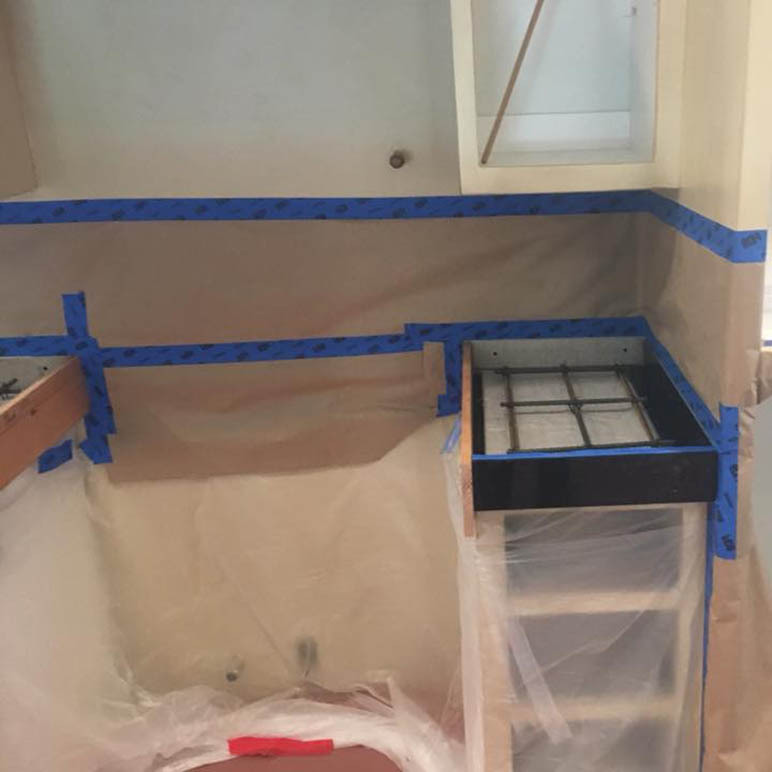 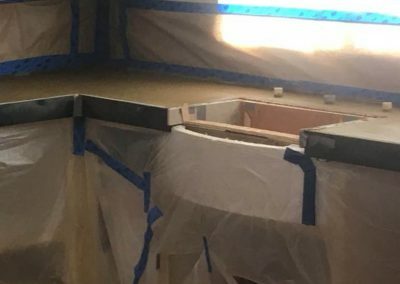 If you live in Santa Barbara or somewhere else along the central coast, give us a call at (805) 621-3966 and one of our helpful concrete countertop experts will answer your questions. 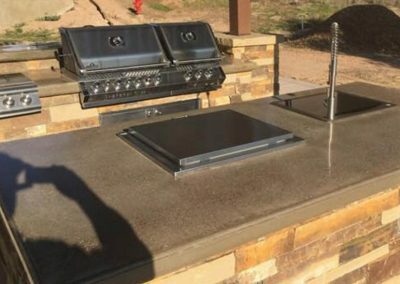 Nothing says summer like outdoor cooking. 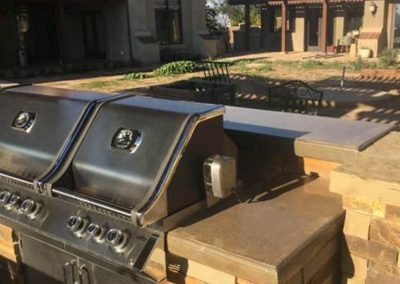 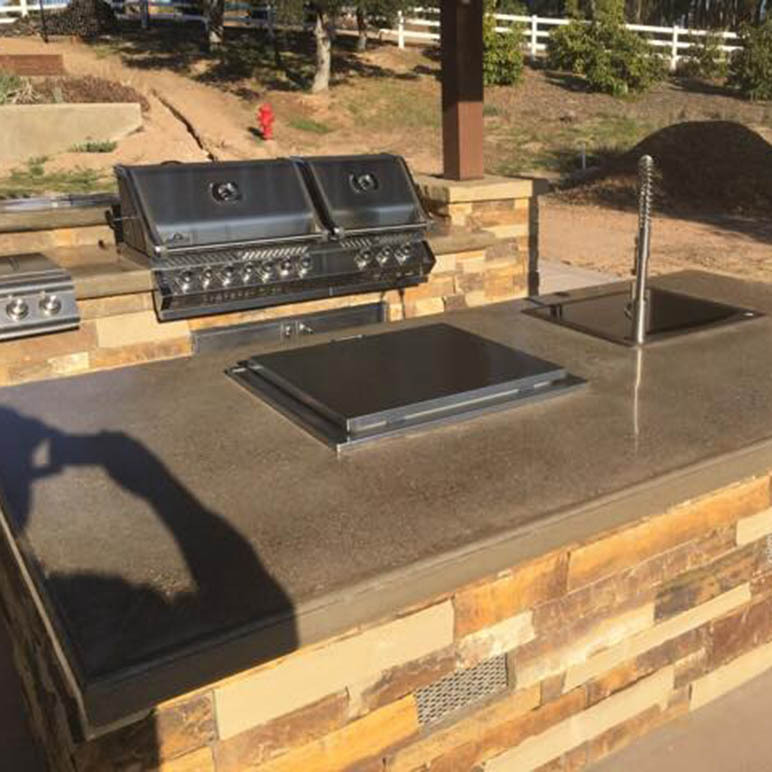 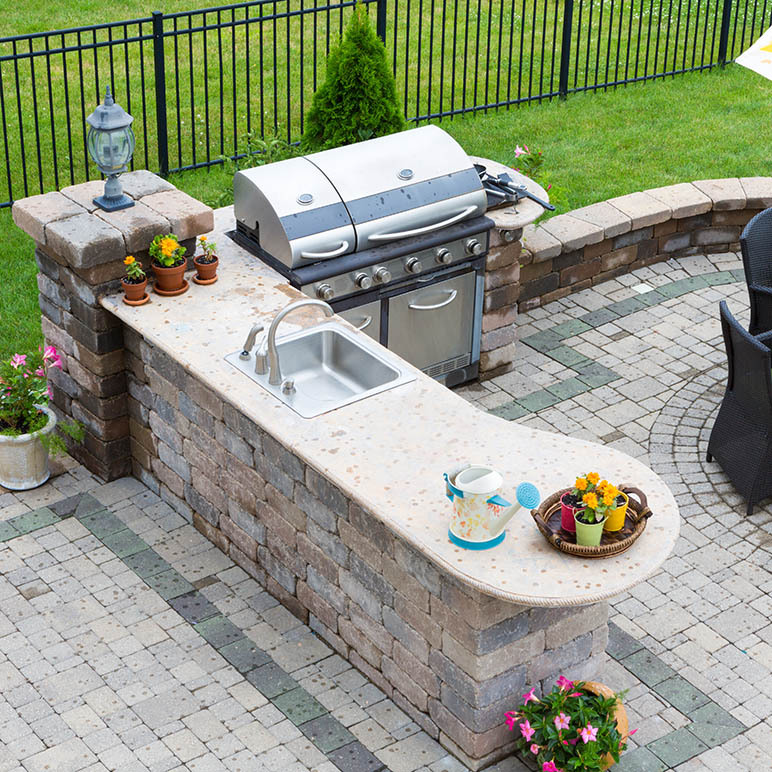 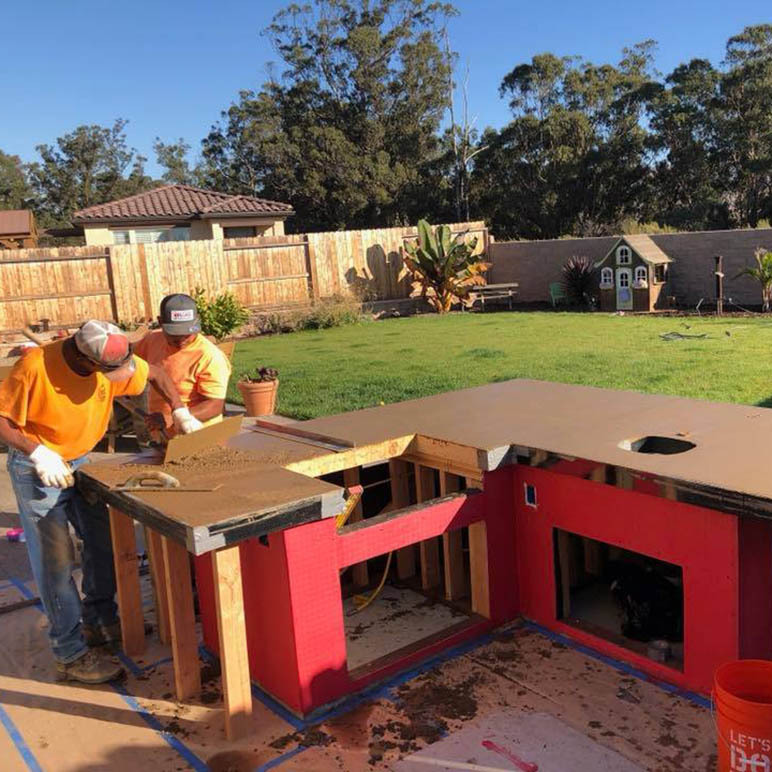 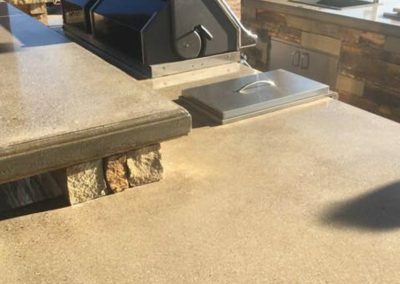 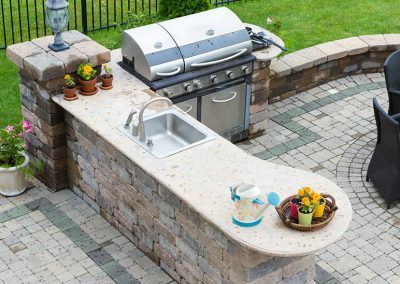 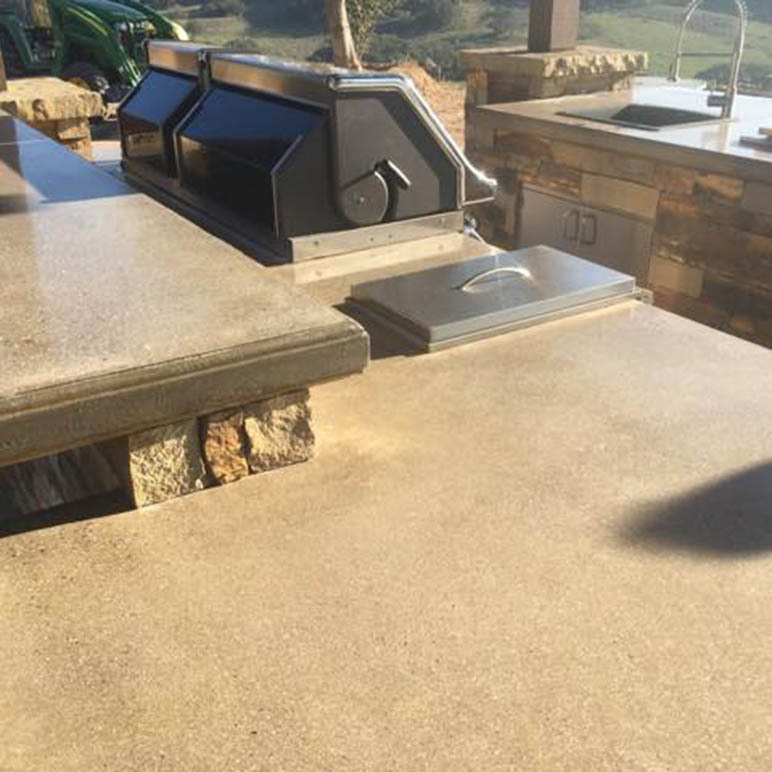 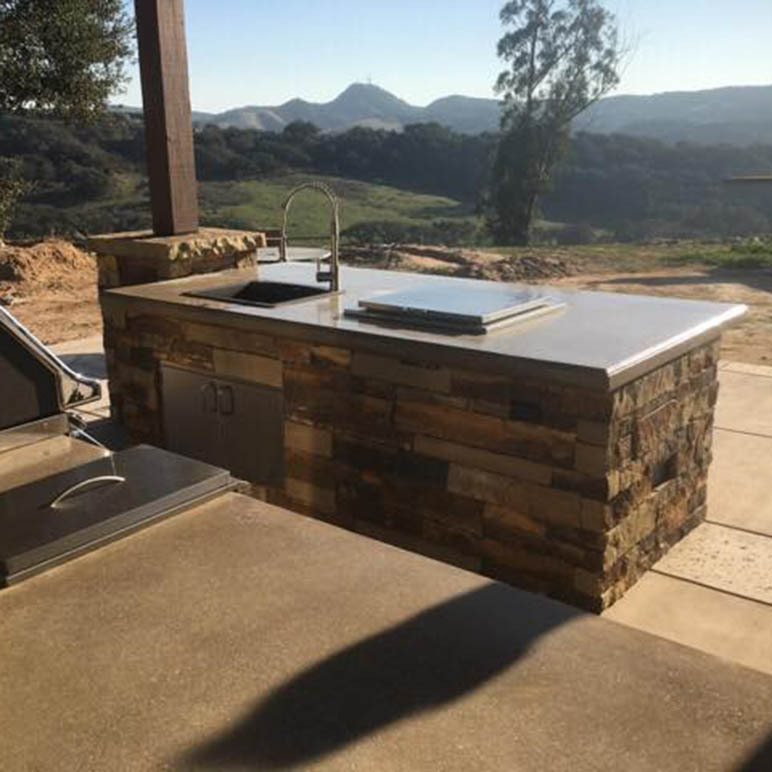 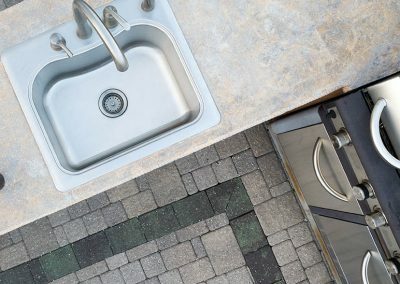 Whether you’re a barbecue professional or a weekend warrior, adding an outdoor kitchen with concrete counters to your home will increase both its curb appeal and value. 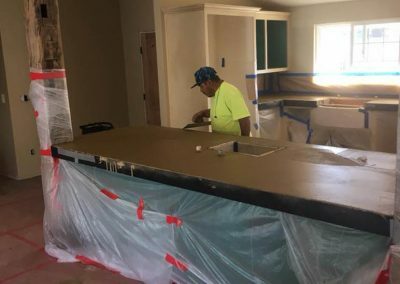 A perfect choice for restaurant bar tops and reception desks, these durable, easy to maintain commercial countertops can have your brand colors and business logos incorporated right into their surfaces. 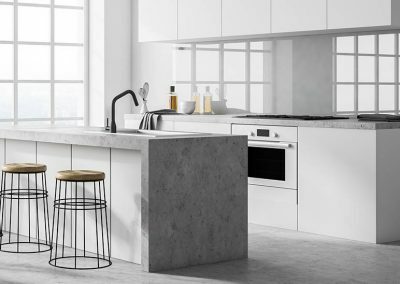 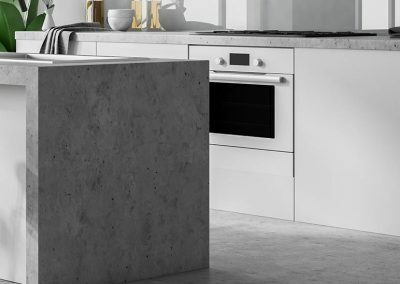 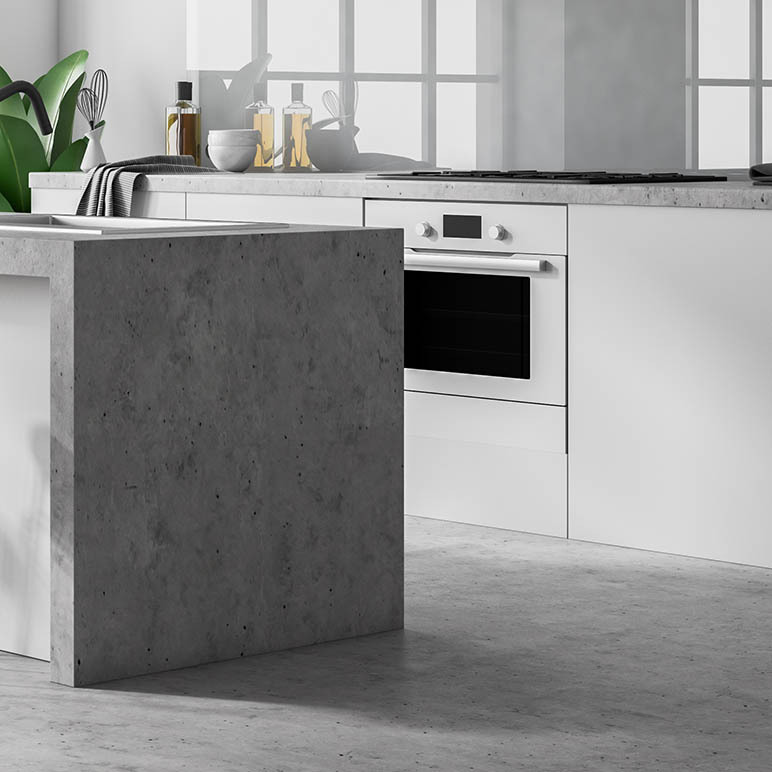 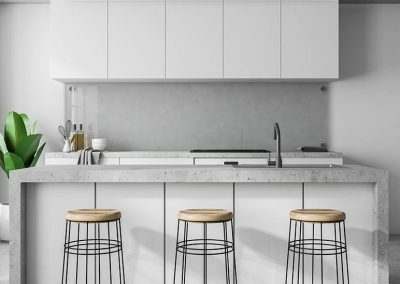 Concrete finds itself just as suited for indoor kitchens as it is for outdoors. 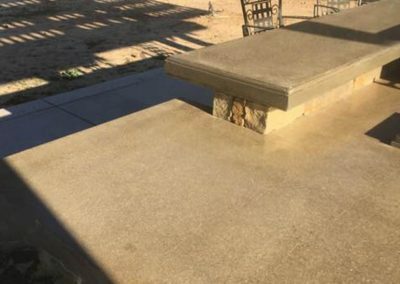 Concrete is naturally durable and easy to maintain. 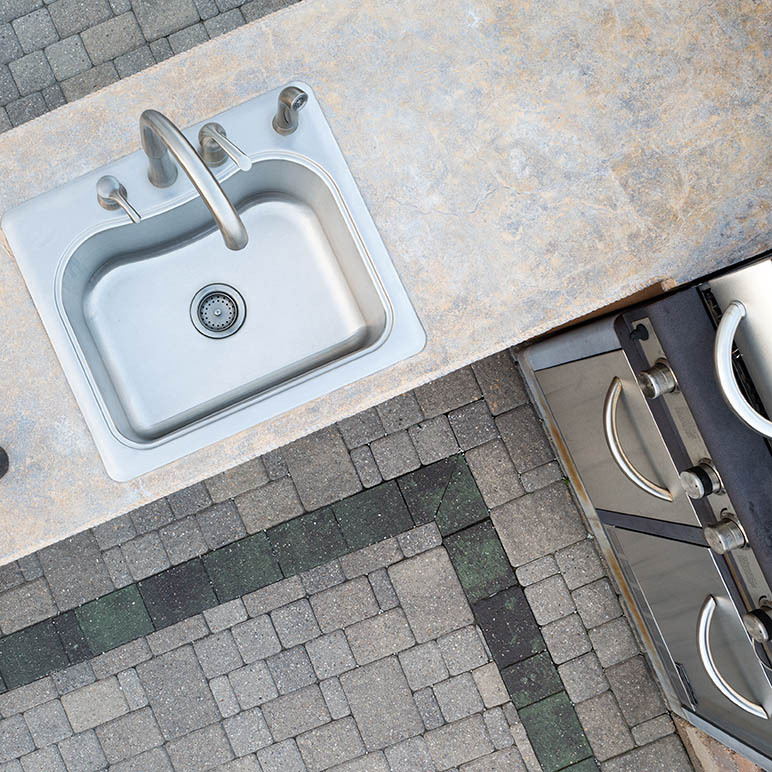 Countertops can be cast to accommodate sinks, faucets, cooktops, or other kitchen appliances. 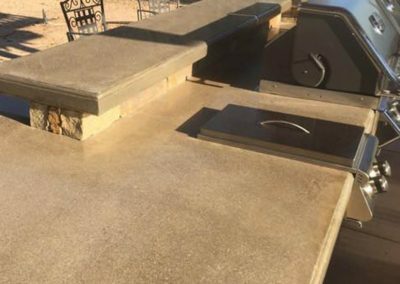 R&E Concrete Company offers the same attention to detail for small residential customers as it does for our large commercial contractors. 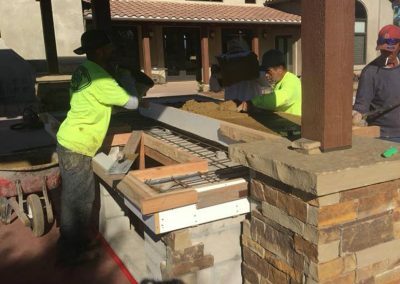 We see no reason any customer should find working with us unpleasant. 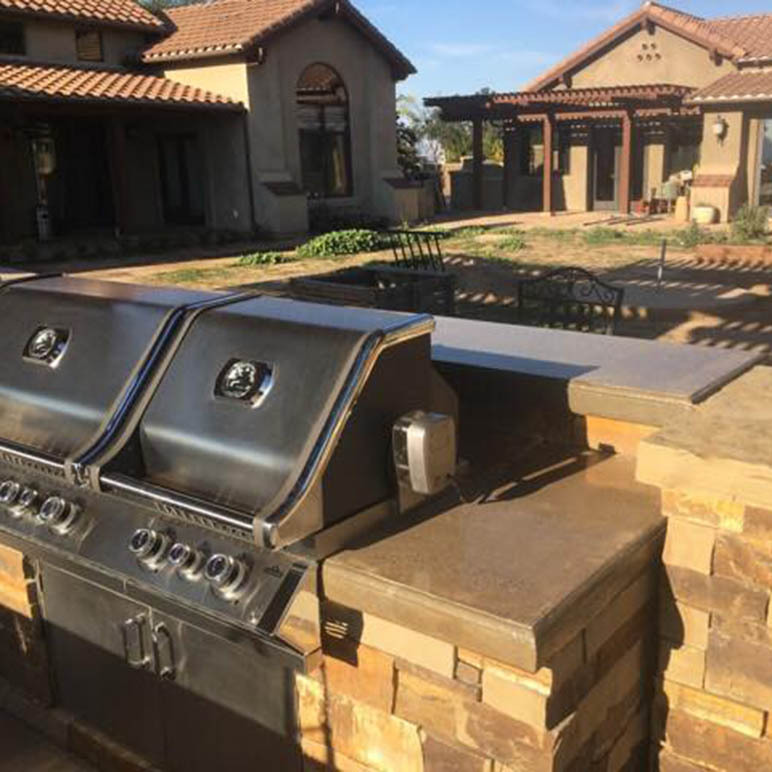 We understand that our customers' needs come first and will do everything in our power to make sure your experience is second to none. 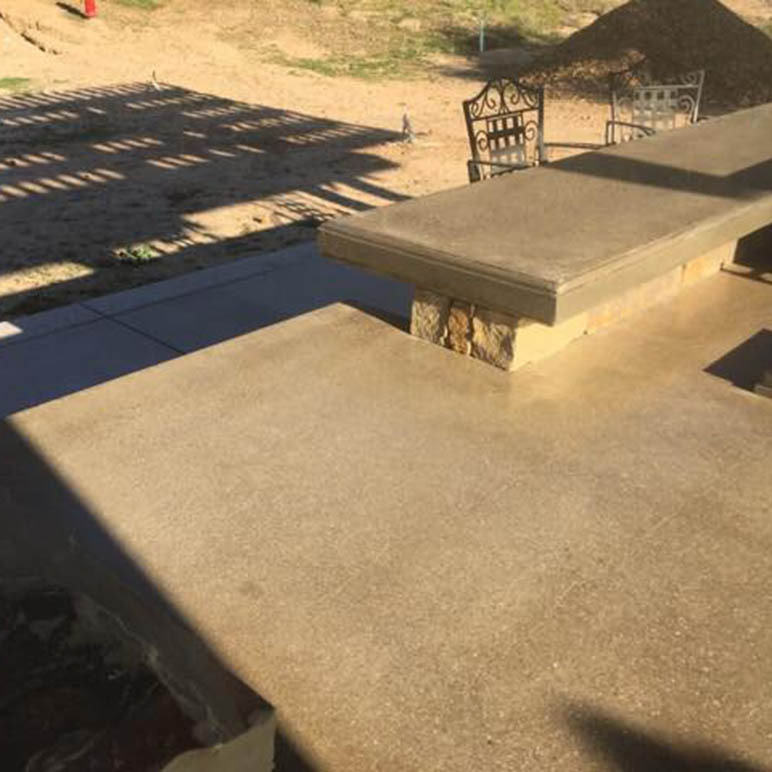 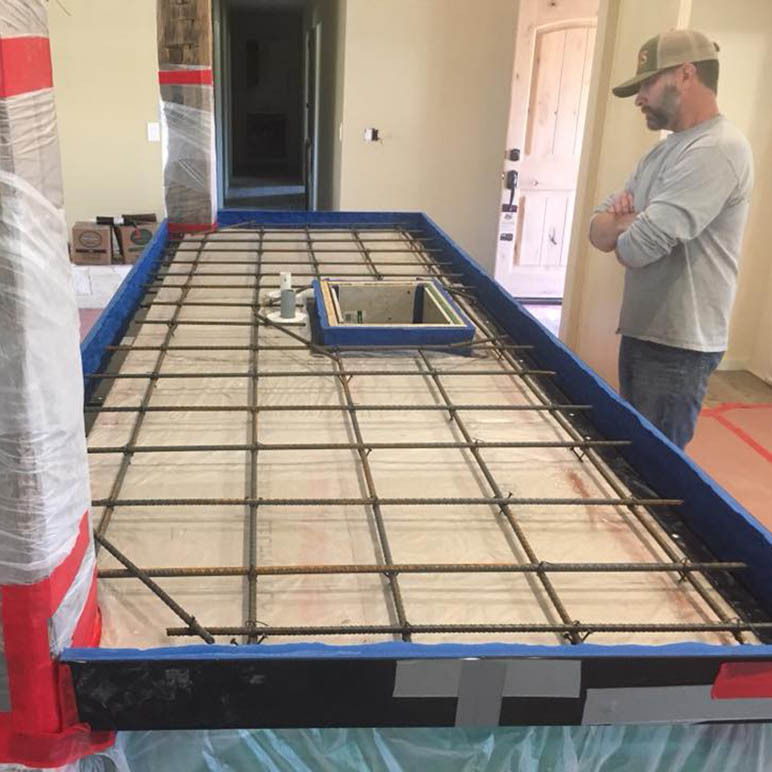 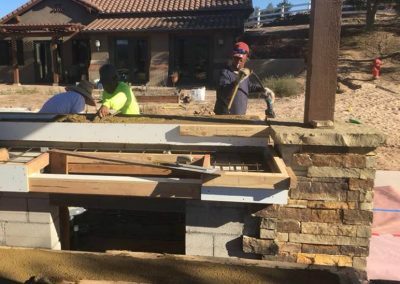 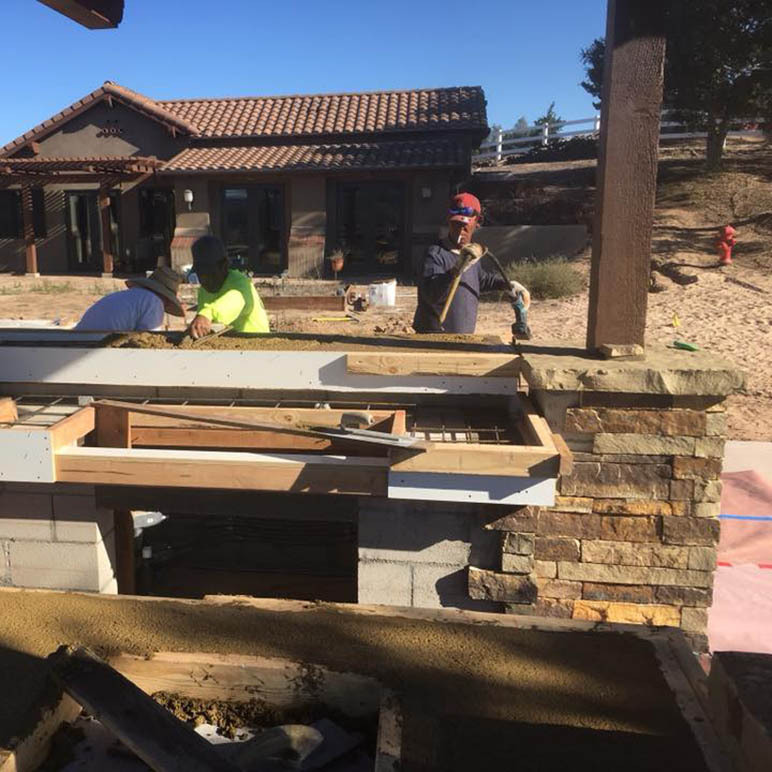 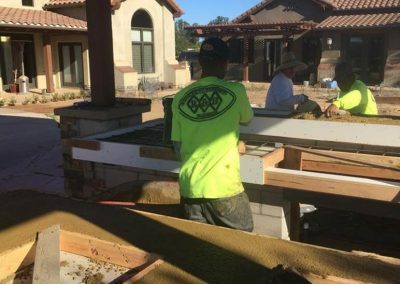 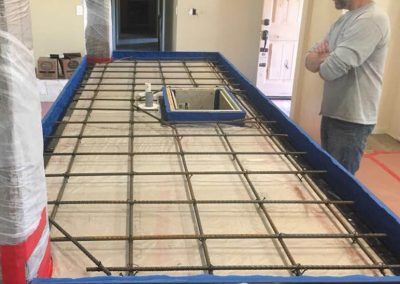 Finding the right concrete contractor to help build your home or extend its functionality can be a task in and of itself. 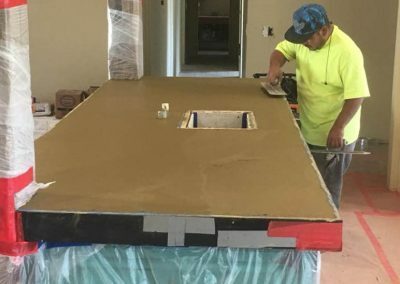 Our focus is on you, the customer, and getting your job done right. 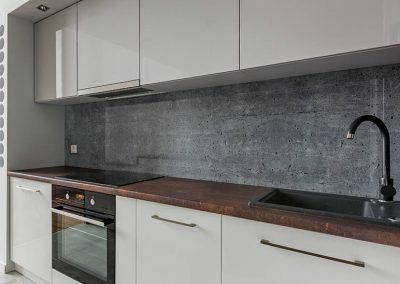 Commercial and residential developers can rest assured that we understand the importance of schedules and not just getting the job done but getting it done right AND on time. 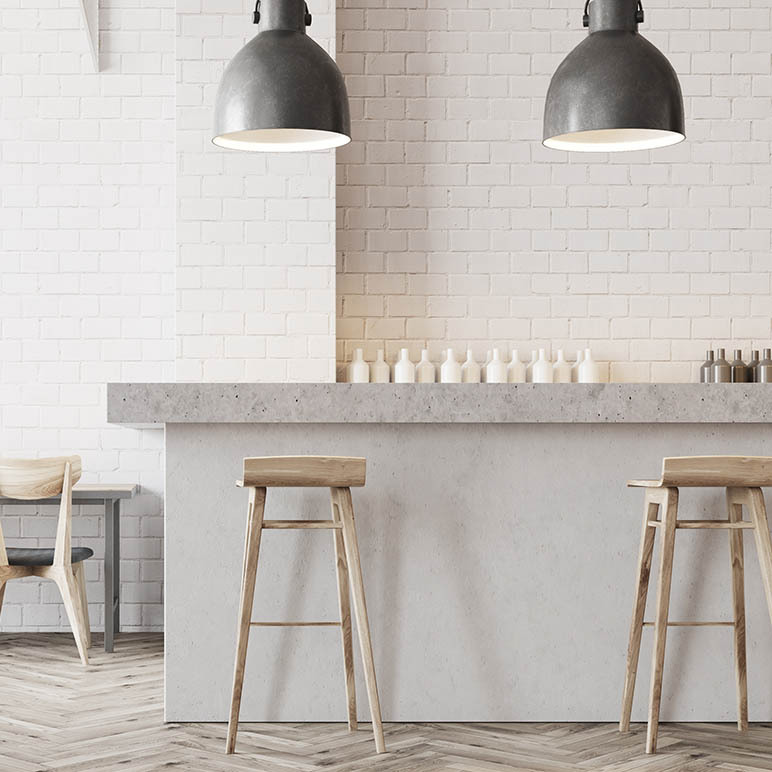 We understand that your retail space is an extension of your brand's identity. 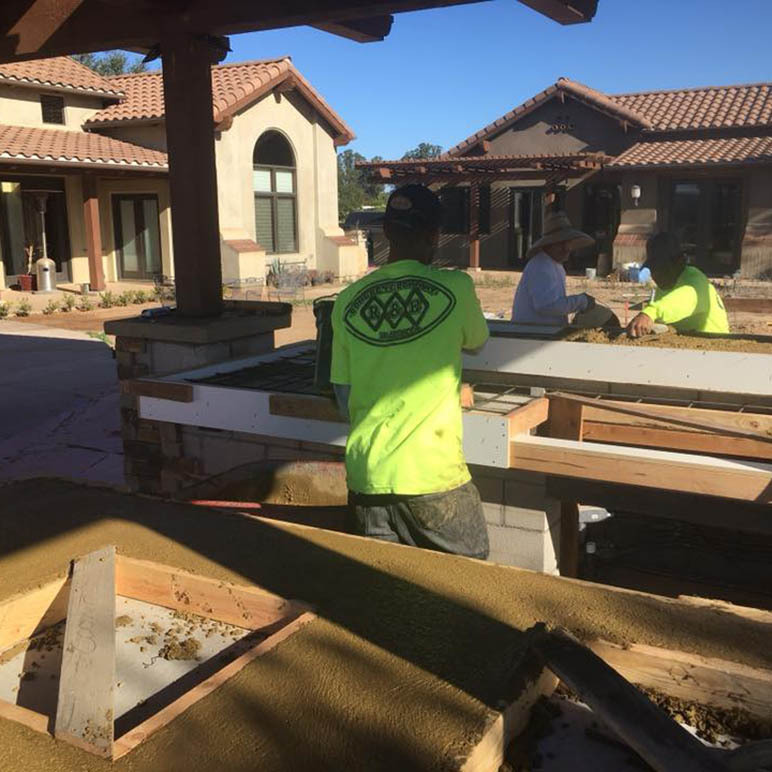 We know how important our work is in helping your business's vision shine through. 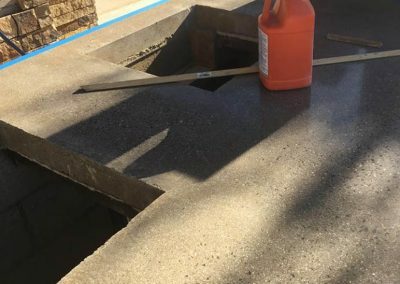 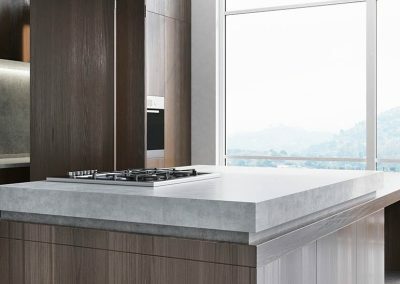 Why Use Concrete For Countertops? 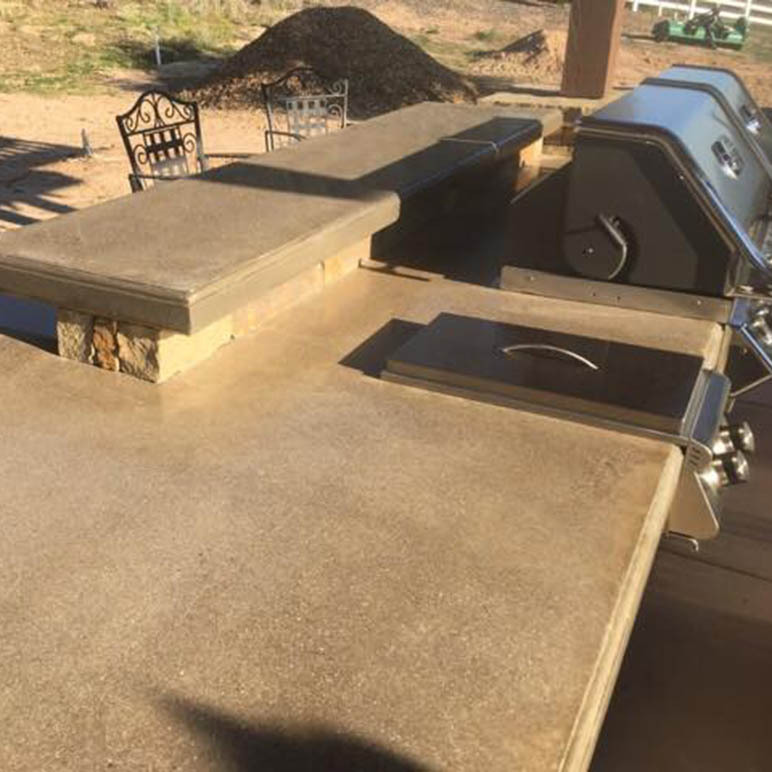 Concrete counters are all about customization. 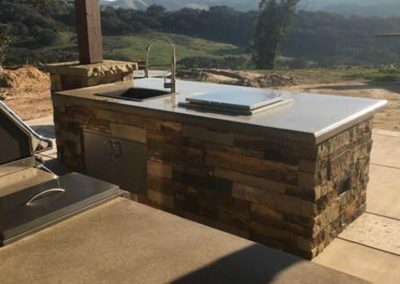 If you live in San Luis Obispo or Santa Maria, the list of benefits below might be of particular interest to you.